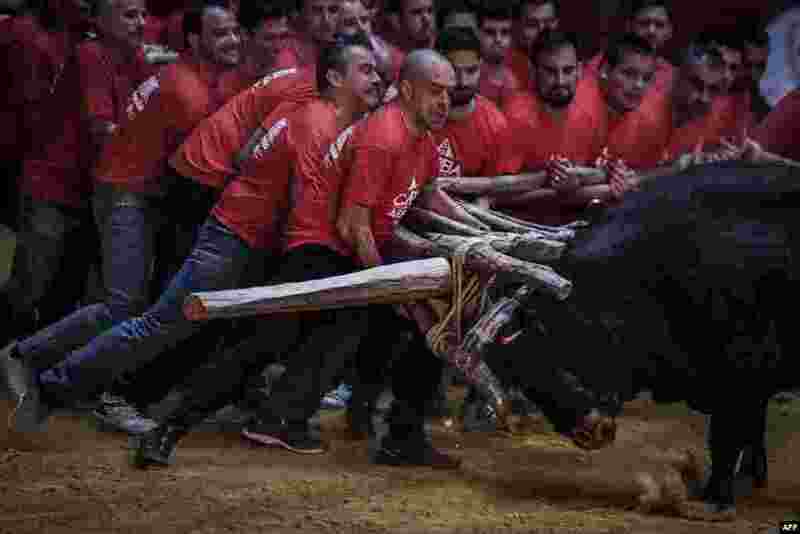 ١ A group of men perform the bullfight of "Capeia Arraiana" during the Bullfighting Day at the Campo Pequeno bullfighting arena in Lisbon, Portugal, Feb. 23, 2019. 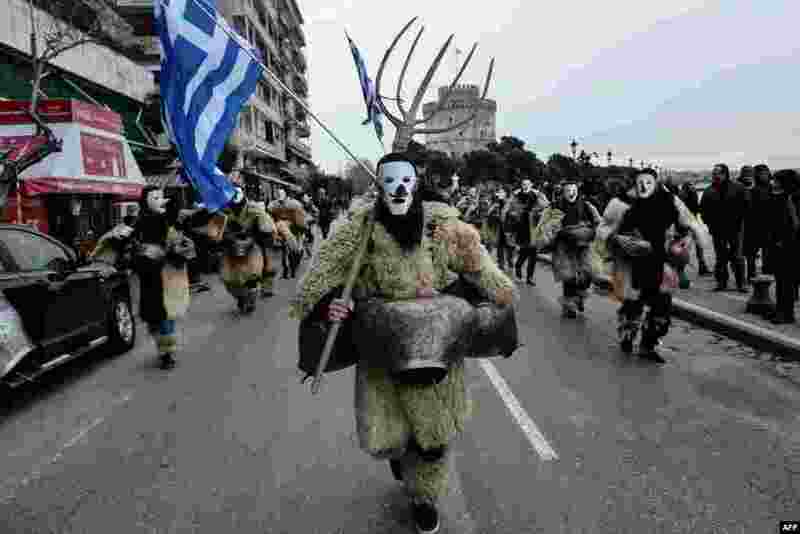 ٢ Members of bell bearer groups from Greece and Europe parade during the 5th edition of the European Bell Bearers Festival, in the northern Greek port city of Thessaloniki. 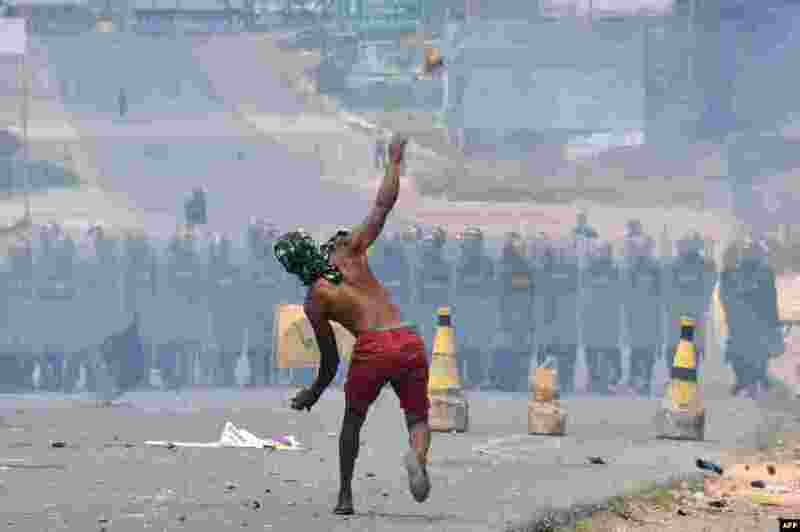 ٣ Demonstrators throw stones at Venezuelan Bolivarian National Guard members standing guard in the Venezuela-Brazil border, in Pacaraima, Roraima state, Brazil. 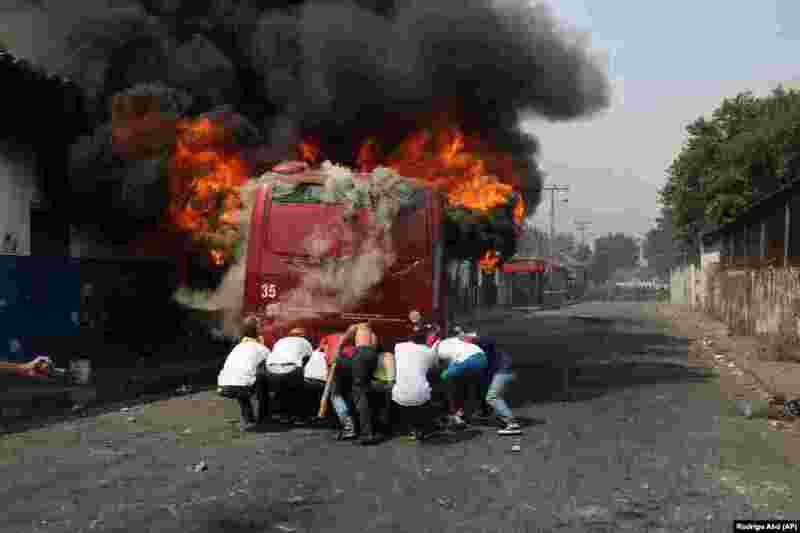 ٤ Demonstrators push a bus that was torched during clashes with the Bolivarian National Guard in Urena, Venezuela, near the border with Colombia, Feb. 23, 2019. Venezuela's National Guard fired tear gas on residents clearing a barricaded border bridge between Venezuela and Colombia, heightening tensions over blocked humanitarian aid that opposition leader Juan Guaido has vowed to bring into the country over objections from President Nicolas Maduro.